Two years back, Empire Ears made their debut with Zeus, a then ground-breaking iem employing 14 drivers and a 7-way crossover. But the Olympus line was Empire Ears just getting started – their new lineup will take it to the next level. Using all custom-built drivers and advanced crossovers, the new lineup improves in quality, and especially diversity. For where the Olympus line was characterized by a strong house sound, the new lineup offers a wide range of complimentary tunings, each catering to different crowds. This is perhaps most explicitly embodied in their two separate lines; 3 multi-BA iems dubbed the ‘EP line’, and the X-series hybrid line consisting of 4 iems. Even within the hybrid line there is great versatility, with 3 higher-end models that complement each other with very different signatures, albeit united by enhanced, double dynamic-powered bass. So don’t discount the rest of the lineup just yet in favour for the biggest and the best, because there are some very interesting models that will complement the headliners. For now, let’s look at Empire Ear’s two new flagships: the awe-inspiring Legend-X, and natural-sounding Phantom. The perception of music is often viewed as competing between the analytical, where the music is broken down to all of its little pieces, versus the holistic, which focuses on the total picture, such as the naturalness of sound. The Phantom was tuned with the latter philosophy in mind. Accordingly, coherency and timbre were always going to be a top priority: to faithfully replicate a shimmering stroke of a violin, or gentle pluck of an acoustic guitar, while just as easily being able to provide the sense of engagement from an electric guitar, or a melodious synthetic melody. And of course, a natural reproduction of both male and female vocals, in terms of body and tone. But simultaneously, acknowledging the importance of resolution and transparency as prerequisite for natural reproduction of sound – seeking a combination of tonality and performance, rather than a compromise between either. The Phantom is tuned with a lift in its mid-bass to increase its body, while providing a warmer tone throughout the midrange. A natural bass in terms of tone and texture, while drawing on excellent bottom-end extension for sub-bass impact. In order to achieve its intended tuning, there is a delicate balance between the quantity of bass and treble, rendering the Phantom sensitive to tip selection. Switching from complies to wide bore silicones can sway its tone from warm to bright, while simultaneously affecting its stage and transparency. However, with the right tips and especially custom fit Phantom has a greater quantity of mid-bass compared to Zeus, as well as warmer signature throughout. Where the Legend’s bass steals the show, the Phantom was designed for its midrange; accurate in timbre, with full-bodied instruments. Following its enhanced bass, the Phantom creates a thicker note. Its vocals are slightly forward in terms of stage positioning, though not quite to the extent of Zeus. To ensure a natural vocal presentation, its vocals are lightly warm, and sufficiently bodied. While its midrange is characterised by a warmer tone providing that sensual release of a saxophone, a controlled touch of sparkle in its lower treble highlights string instruments. The Phantom seems to sound both warm and clear; for more than anything, it is designed to sound true – to strive for balance on a wide spectrum of characteristics that contribute to a faithful, and most importantly, beautiful reproduction of music. For where the Phantom shines is the naturalness of its sound. A tuning completed with a linear upper treble, to ensure the portrayal of a high level of detail, delivered in a smooth and coherent manner. Detail that follows from resolution and clean separation, rather than brightness. Precise but smooth, and natural yet transparent; the Phantom’s tuning revolves around balance. Generally speaking, the Phantom can be considered as having a warmer-than-neutral tuning with a tilt towards naturalness. Even so, there is a delicate balance between the bass and treble, so subtle variations in bass, due to tips for instance, can shift its sound from warm and natural, to a more neutral or even bright signature. In a similar vein, it is equally transparent to the source, and will reflect its signature. Both my Sony and AK are on the warmer side, portraying the Phantom with a warmer than neutral signature. With the Lotoo Paw Gold, the Phantom becomes more neutral, with a clear and more stimulating signature reflecting the inherently more energetic LPG. So when using a brighter source, the Phantom will reflect that, trading some of its naturalness for an increasingly detail-oriented signature. Tips are somewhat of a personal affair, since people might get varying results based on their own anatomy. For instance, people might find Spin Fits warm or bassy, but I’ve always had the opposite experience. Spiral Dots tend to be consistently warmer for me, but I’ve heard of impressions portraying them as brighter. In addition, source pairing will come into play, as warmer tips might work better with a brighter source, and vice versa. Therefore, perhaps read the following descriptions more as an indication of how the sound can vary with different tips, rather than a general rule of thumb. –Spinfits: Spin Fits reduce the quantity of the bass, resulting in a leaner signature with an emphasis on upper mids and treble. The sound becomes more neutral, while losing the body of its instruments and accuracy of its tone; the treble is on the brighter side. Same effects can be observed for various cheap silicone tips. For me, these are the least preferred type of tips, and the furthest away from its intended tuning. –Final Audio (Type E): The Final tips offers a nice bass response, combined with a neutral tonality, and slightly aggressive treble. It’s a stimulating sound that I like for genres like pop or EDM, although it might miss a touch of warmth to sound completely natural compared to the Spiral Dots, as well as a slight reduction in midrange body. This is an interesting option, though not the most representative for its intended tuning. By comparison, the Acoustone 07 tips are even brighter. –Ortofon: These tips provide a balanced sound, which can be considered linear and fairly neutral. The Ortogons provide a sound that is neither bright or peaky, nor particularly warm. They’re not as clear-sounding as the above, though not as warm as those below. There’s an even clarity throughout the signature, accompanied by an airy and spacious stage. 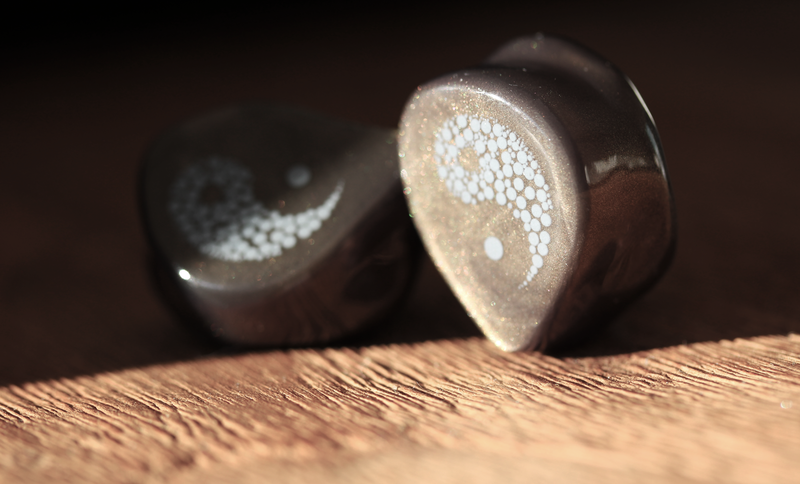 Accordingly, there is a tradeoff with the Spiral Dots: these sounds a bit more neutral and transparent, while the Spiral Dots add a touch of warmth for a more a natural sound. –Spiral Dots: These have been my most used tips along with the Ortofon, forming the basis for the sound impressions. 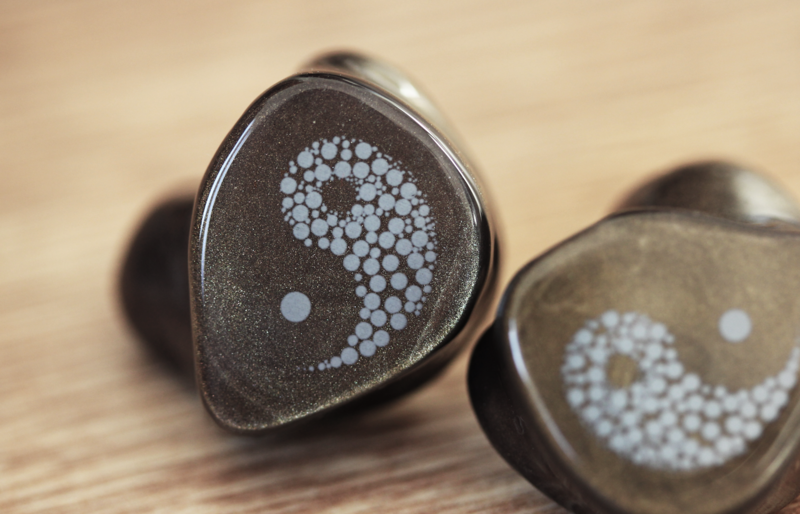 The Spiral Dots offer a warmish, natural sound, while retaining an airy stage and transparent sound, although some of the above edge it out with respect to the latter. Both the Spiral Dots and Ortofons offer a balanced sound, with a slight tradeoff for a warmer, more natural sound for the Spiral Dots, and a cleaner, more transparent sound for the Ortofons (or Final tips). 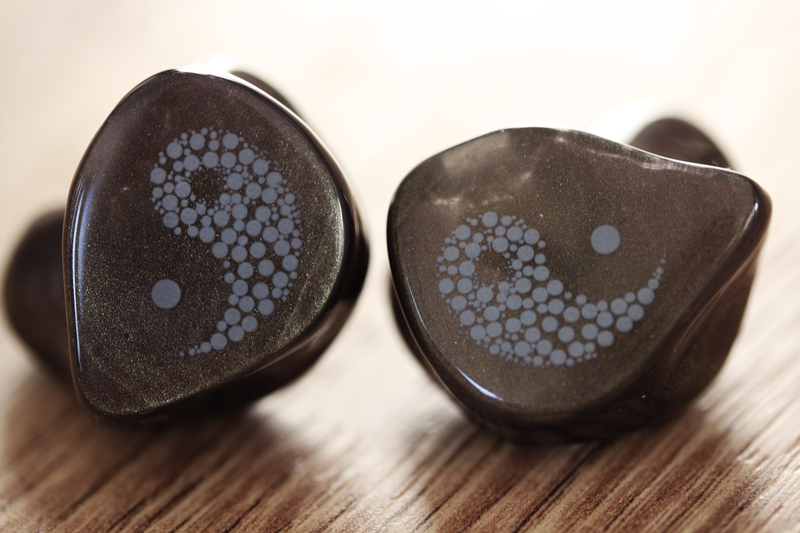 –Mandarin Symbio W: the Mandarin tips are yet a touch warmer than the Spiral Dots, coming closer to Comply tips. They trade a bit more transparency for an even smoother sound. –Comply: At the other end of the spectrum of the Spin Fits are the Complies. The Comply tips are the warmest tips, trading more smoothness and greater instrument body for a slightly more intimate stage, with reduced airiness and transparency. For more treble sensitive people, or those that just prefer Comply of course, these might be the best options. The difference between Comply and Spiral Dots is not drastic as both lean towards the warmer side, but becomes increasingly greater when compared to Ortofon and especially Spin Fits. Custom: Overall the custom and universal are highly similar, but there are some slight variations throughout the signature. For starters, the custom has a bit more mid-bass, as well as clearer treble. It isn’t brighter as the two balance each other out, but it does have a slightly better tonal balance, along with more body in its midrange. One might say the custom has the body and warmth in its midrange of the Spiral Dots, combined with the clear treble of the Final tips. Even so, the caveat is that the universal’s stage can be a bit more spacious depending on the tips, due to the additional touch of bass and midrange body of the custom. Taken together, the custom has a slightly better tone and greater body, or for the lack of a better word, it is a bit more ‘musical’. The universal counters with a slightly more spacious stage, resulting in a more effortless separation. The primary comparison is of course to Zeus – Empire’s reigning emperor. The two share similarities throughout their general presentation. The Phantom’s midrange is slightly warmer in tone, providing a more accurate timbre for its instruments, and a smoother upper treble. Zeus in turn offers greater clarity and a brighter treble tone, resulting from its upper treble peak. Despite Zeus’ brighter tonality their level of detail is similar, as the Phantom combines slightly improved top-end extension, with an airier stage. Compared to Zeus, the universal Phantom’s mid-bass is roughly similar in quantity, while improving in sub-bass extension and impact. While both offer a similar three-dimensional stage and precise imaging, they differ in their vocal presentation. Zeus’ lower midrange tuning results in its a more forward midrange, highlighting especially male vocals. The Phantom in turn offers a more neutral vocal tuning in terms of forwardness; sufficiently dense and bodied, centered within its stage. But the Phantom’s natural competitor is the 5-Way; that other IEM with a rare blend of timbre and performance. As with Zeus, the Phantom shares a few similarities; in the case of the 5-Way, its three-dimensional stage, and similar vocal reconstruction in terms of body and forwardness. However, they are equally defined by key differences, starting with their bass. In my opinion, the 5-Way has the best BA bass from an audiophile perspective, combining deep extension with a resolved mid-bass, natural in tone. The Phantom can’t quite match the naturalness of its bass, opting for a cleaner bass, with similar extension. The difference returns throughout the presentation. The 5-Way’s warmer tonality results in its exceedingly natural and organic signature, with warmer upper mids and a smoother treble. The Phantom trades some of its warmth for clearer, more melodious upper mids, as well as slightly greater instrument body. Its treble is a bit crisper, where the 5-Way’s is warmer, and a bit smoother. Taken together, the 5-Way has the warmer, more romantic tuning. The Phantom in turn offers greater transparency as well as a more versatile sound, while sharing a similar beauty in its timbre. The Phantom represents Empire Ears’ quest for perfect harmony between performance and timbre; one that ultimately leads to beauty, rather than a compromise between either. The advantage of such a tuning is that its timbre sounds accurate for both brass and string instruments, while remaining versatile over genres – finding ultimate beauty in tonal accuracy, while allowing detail to emerge in a natural manner. Even so, it will cater to those that appreciate a warmer, smooth tuning, rather than those going for ultimate detail. It’s the flipside of a linear upper treble, instead of a common boost for extra clarity. But when the fit is right it will sound absolutely beautiful for it, because your music is beautiful. You’ll listen to this IEM and appreciate the skill of the performing musicians, and the tone of their instruments. 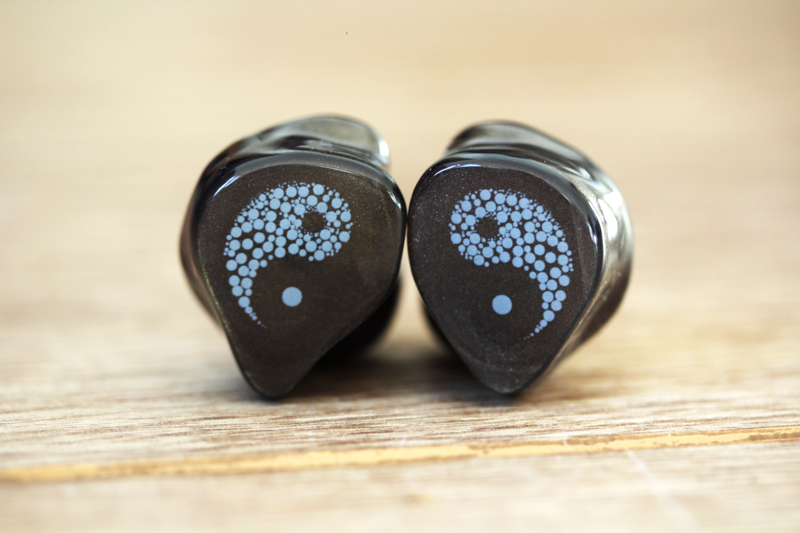 Not sure if you had/tried the fitear c435 or westone ES5 before, wonder how would you compare those to these? Hi Kai! Terribly sorry man, haven’t heard either..
Erm, how would you compare phantom, legend x with qdc Gemini and 64 n8t? I haven’t really heard the N8t. Of the other three the Phantom is the warmest, most vocal-centric tuned iem. The Gemini has a more neutral/clear tonality with a nice touch of sparkle, and a slightly leaner midrange. Its bass is also a bit more moderate compared to the Phantom. The Legend-X also has a neutral/clear tone with slightly brighter treble, but pairs this with powerful (sub)bass, and a wide stage. Its vocals are pretty neutral, a bit laidback compared to Phantom. great overview and congrats on the collab! now how about a Phantom +1 or a Legend IX (or X -1 lol)? as gobsmacked as i was demoing the two iems, i do find, imho, LX is a smidge too bass heavy and the phantom, while uncannily voiced last that last bit of almost “haptic” feel that the bravado has. In fact, i think a more resolved/refined Bravado would go down very well, imho. Hi Caleb, that’s more than fair! Everyone has their own preferences. The Bravado has proven a very popular iem during the initial local launches, so you’re not alone in your sentiment. Would you say the Phamton’s tonal signature sits between VE8 and A18? Phantom would be closer to the VE8 of the two, but a bit warmer even with a greater focus on tonal accuracy, where the VE8 is a bit more forward and thicker in its note reproduction. How would you say the Phantoms compare to SE5-Way Ultimates? In terms of CIEMs, do you think the Phantoms will take the new rank #1? Or perhaps rank #2? If you’re a drummer and are looking for a pair of decent or even the best in-ear monitors (IEMs) that you can either use in the studio during practice, or even live on-stage, this is all you need to know. Care to compare/contrast between the Phantom and the CA Andromeda? 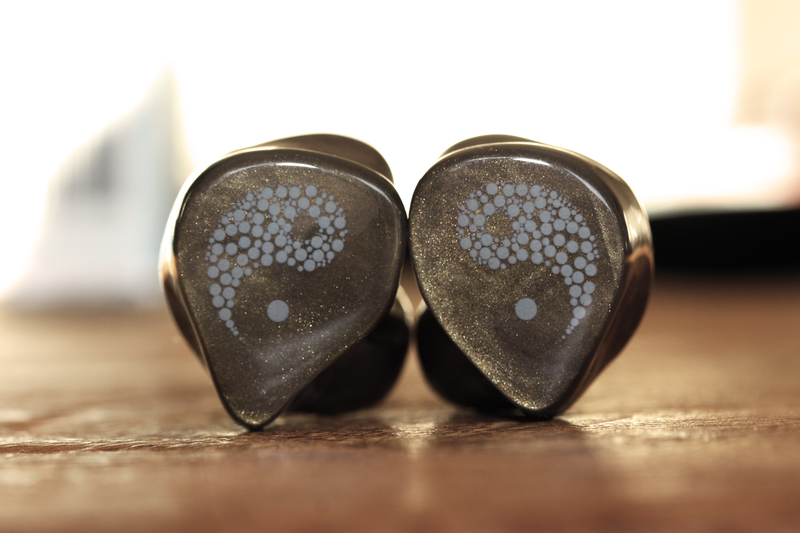 Both of these new IEMs sound exciting? Well done, sir! Thank you sir! I think you saw someone answer this on the EE thread, but I’ll just add that I agree with that description. Basically, the Phantom is warmer in tone and more natural-sounding, where Andro has a nice clear tonality with more sparkle in its lower treble. While Andro has a bit of an upper-bass lift that adds some thickness and body to male vocals, the Phantom has slightly more forward and bodied vocals, and great sub-bass extension and impact (although the Phantom doesn’t have an enhanced bass per se, just great extension and a nice kick). The Phantom’s stage is also more 3D with more precise imaging, where Andro has a wider but more rectangular-shaped stage. Does it play well from Mojo? Hi there, been a while since I last heard Mojo, but it’s an agreeable little dac that works fine with most iems. If you generally like the sound of the Mojo, you will also like it paired with these iems (if you like these iems that is). AWESOME review and what a great idea. This is what most 2 channel guys want in a transducer. Tonal balance from top to bottom and a true sub bass up through a sparkling, but not fatiguing treble. I can’t wait to get mine in CIEM! Will be my first CIEM and that’s because none before this seemed to have a perfect blend of all the things I have in my home system. Thanks so much for the reviews Nic! Thanks for the kind words Peter, I truly hope you enjoy them! Looking forward to your impressions. Congratulations Nic! This IEM is an achievement, can’t wait to see more impressions pop up. Thanks buddy you’re the best, hope you get to hear it soon.